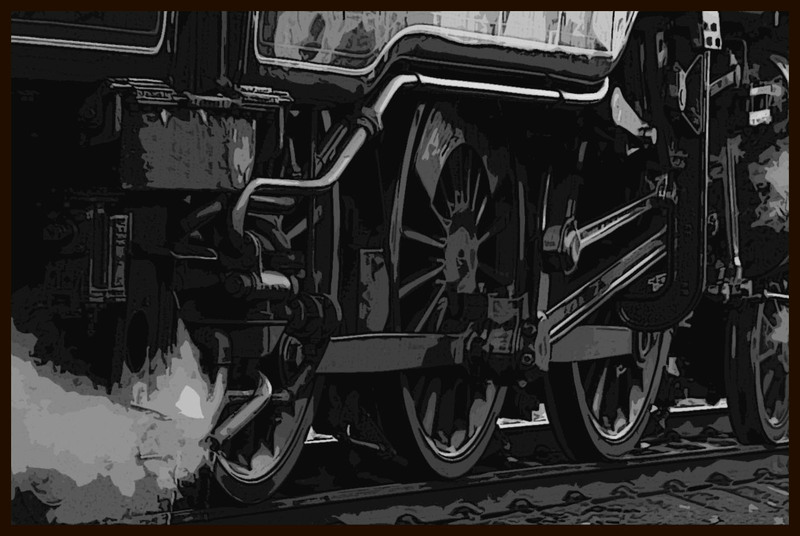 Railroading: The act of giving your players only one real course of action. To many this has become almost a curse word in gaming. Cries for complete freedom of player choice go out across Reddits, Facebook pages, and message boards across the internet. But is railroading actually that bad? Is complete freedom of choice actually that good? A very vocal group will tell you that nobody likes railroading. They advocate for complete sandbox all the time, every time. If nobody likes railroading why are modules some of the top selling products of RPG publishers? People have been enjoying modules from as far back as the first edition of Dungeons and Dragons, with stories being told over beers about getting the final bad guy or surviving a particularly dangerous dungeon. 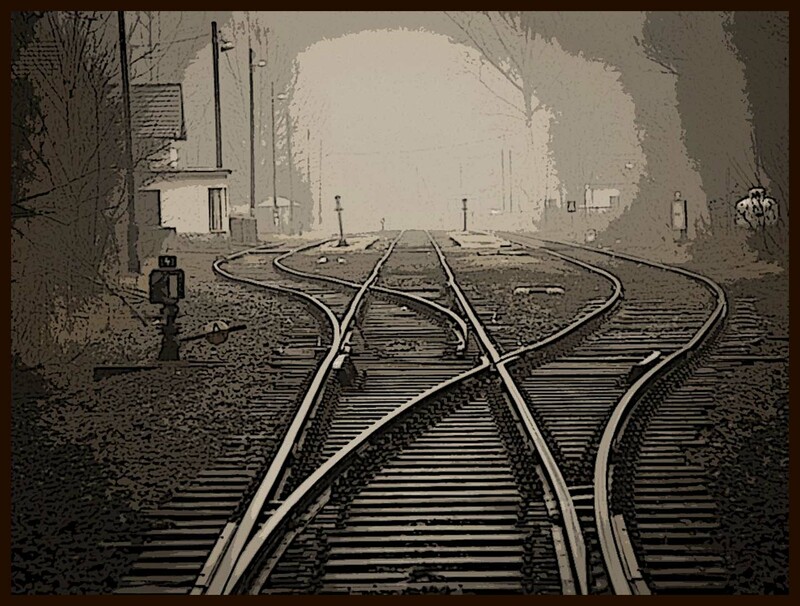 One of the first things reasons many people actually do like being on the rails is choice paralysis. This isn’t just a gaming phenomenon. Personally, choice paralysis hits me especially hard when it comes to ordering food. Asking me what I want to eat is far too broad a question; I never know what to pick. But once you’ve narrowed down the choices to half a dozen restaurants, it’s much easier for me to choose. The same holds true for gaming, just asking “What do you want to do?” gives many people too many choices and this is one of the reasons modules sell so well. One of the other factors as to why people like modules, and thus some railroading, is that many people like to tell epic stories. I get that there is also a contingent of folks who have no issues doing the day-to-day minutia of setting up a business and going into detail about their morning shower, shave, and breakfast routine. But many, many gamers want to have epic adventures that rivals The Lord of the Rings. To tell a cohesive story, though, sometimes the players need a little nudge. One of the biggest issues I have is that in most sandbox games you end up repeatedly being asked what you want to do. You head off in some random direction, a little bit happens, and then you get asked what you want to do again. All these little things don’t add up to big adventure and that just doesn’t work for me or a lot of other gamers. I get GMs who say "But you haven’t played with me", and honestly many GMs say that and very few actually deliver. There is always this rivalry between people who like canned adventures and those who espouse sandboxing. The argument invariably gets made that needing to be on the rails comes from a video game mentality. Kids these days and their newfangled games are the death of imagination, and so on and so forth. "Hey you kids, get off my lawn!" Modules, however, have been selling like hotcakes for generations. Adventure games from the text based D&D games, to Tomb Raider or Dragon Age, have grown from the very stories that were being told in the early D&D modules. If anything video game culture is much more influenced by us than we are by it. Frankly, though, there is a middle ground. True railroading is as bad as completely free sandboxing. There is a fine art to both giving actual choices and providing the illusion of choice. Some say "hooks, not rails", and I suppose that is an apt representation. There are many ways to give the players options while still staying within the story. There are also methods for adjusting or adding to the story, depending on player actions within. I do my best to help guide my players without making them feel like I am pushing them. The one thing I have left to talk about is the start of the adventure. When you sit down, there does need to be some agreement on what kind of adventure there is going to be. The players, for their part, need to play along for a bit to get the ball rolling. This leads back to my thoughts on making a character for the game you’re in, but it also showcases one of the few types of players I think is truly a problem. When you’re starting your game and you give the players the hook, and they know it’s the hook, they bite to start the adventure and one player says, “My character wouldn’t do that.” If your character wouldn’t go on an adventure, then why did you make that character? Do you prefer a game that is more on the rails (like modules) or completely free? Have you found that a middle ground approach works best? As a player do you snap at plot hooks or does it make you feel like you’re being led around by the nose? Been enjoying the CRB? Consider becoming a patron. You can help support my endeavors at my Patreon making it feasible for me to devote more time to providing you with quality content. The CRB is branching out to other forms of social media. Join me on Twitter @SimonSezCRB where I live tweet my Saturday and Sunday games. Take a look at the CRB on Tumblr where I expand upon my articles and share some of the other gaming ideas I enjoy. Join the CRB Facebook community for updates on current projects. Simon, first of all, I feel the need to remind you that your CRB is a wonderful inspiration for the rest of us who don't get paid to develop content to help us enjoy our hobby. I truly get a lot out of your blog, and I appreciate what you give to the rest of us. The whole sandbox vs. rails debate is just another overblown show, IMO, where players perhaps don't have a full understanding of what is really going on in the GM's presentation of the game world. Even if a GM is running players along on a rail, if he is doing it well, it feels like a sandbox. I have run sandboxes, railroads, and sandboxes with rail lines that players could choose to ride, which I believe most GMs tend to call hooks rather than rail lines you could hop on or hop off. 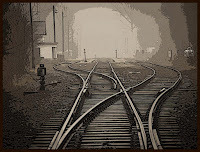 When I run a successful sandbox, it is one with plenty of these hooks or rail lines to choose. Frankly, I prefer to run these sandboxes with rail lines, or hooks. A pure sandbox is boring to me as a GM. Maybe the players are having fun, but unless I get to introduce something for players to face whether they wanted to or not (a villain to cross swords with), I lose sight of the fact that we're supposed to be playing a heroic fantasy game. I can't imagine a player in any sandbox who just wants to hang out in the tavern at night and then start a business. We work for a living through the week, so then we're going to get together on the weekend, unwind, and start accounting ledgers on our fantasy business? We could be out slaying dragons. Modules and railroads: you were there in the early days, Simon. The Keep on the Borderlands had no railroad structure about it. You had three discreet but related areas to explore at your leisure and pace: the keep, the wilderness around the keep, and the Caves of Chaos. Gary Gygax then added a blank piece of paper and a label on the wilderness map (Caves of the Unknown) so you could add your own area to explore. This module was the way adventures were written in the old days - sandboxes with good guys to laugh with and bad guys to chop down. No railroads, but plenty of plot. It wasn't until the so-called Hickman Revolution, as the Internet refers to it, that modules started picking up that linear railroad structure. Honestly, I prefer to run modules - but the old school variety that treat adventuring areas as places to explore with non-player characters to interact with, from which you can generate your own plot and simply allow your players to explore and get to know. I don't feel that the "young whippersnappers" are doing it wrong by playing more modern plot-driven adventures at all. I have run those, and when they worked, they were a blast to play. Many read better than they play, but there is nothing wrong with them, and I am not actually one of those old codgers shaking my fist at the kids yelling at them to get off my lawn, at least not on this issue. I'm glad you're enjoying the blog. I aim to give people stuff to think about. Even my more decisive articles are more meant to get people talking then to pick a side on anything. As for me I think Sandbox vs Railroad is a pretty silly argument myself. I'm more of a middle of the ground type of guy. The thing is none of this came from complaints from players. The biggest vehement tirades about this subject I see come from GMs. The number of times I've seen another GM say that if you don't run pure free form homebrews you're a bad GM. And the venom from which these GMs rail against modules is insane. SO my pro rails (not full railroading but some tracks with branches) is really aimed more at these GMs who blast anyone who doesn't run the way they do then any player. I find most players will adapt to a game, and tos that don't will find a game they do enjoy and not call other players bad players for enjoying a game style they don't like. I guess that you could call me old school. 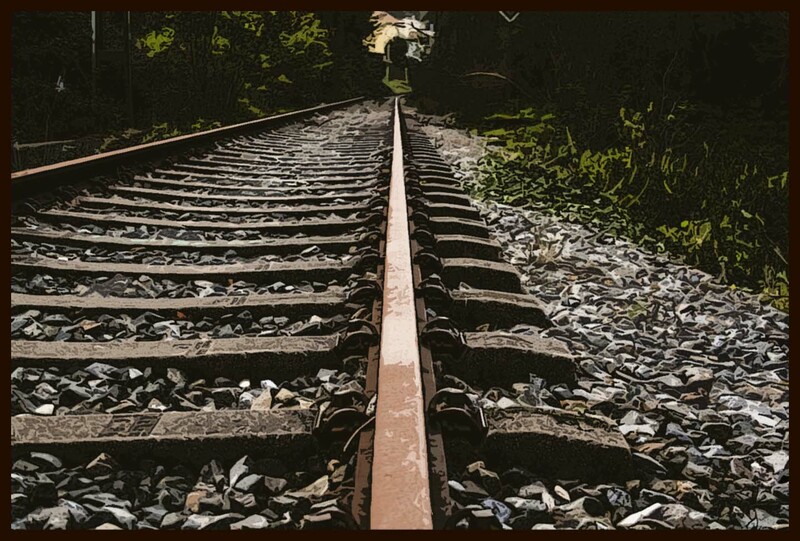 In one respect, it's hard to create any kind of adventure that doesn't have rails. As a GM, there are always things that I want to see happen as part of the plot. That doesn't mean that I force the players to do it. They aren't the only characters around. If they choose to not go off to save the princess, then some other group of adventures does it and get the recognition and rewards from it. If that happens a few times then this second group (that has been made up whole cloth just to advance the plot) can start lording it over the PCs. When I get the "my character wouldn't do that" player (generally one who just wants to get bribed to go on the adventure), I ask the group: "Do you leave [MCWDT] here or do you pass too?" That works for all but the most obnoxious players. If the group passes on the adventure, I pull out plan "B" (generally something sketched out but not quite ready). In an extreme, I told them that nothing much else happens and they spend the next few days sitting at the tavern getting bored. Then I took some time to come up with something else while they twiddled their thumbs. I tried to come up with something they would enjoy for my last gaming session with them. Most of the time, that's never an issue. 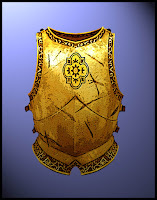 I encourage players to outline their PCs interests and gear events to appeal to the characters interests. In most cases, players tell me what their characters are going to be attempting after the adventure. Many of my adventures come from those player created hooks. One Cleric liked to spend his spare time on the streets in the poorer areas healing (spells and skill) people in the city. A number of plots came just from that, including the established temples and healing institutions getting up in arms about someone giving it away. With 4 other players just like that, the adventures practically wrote themselves. And if something comes up that derails a plot that I have going (generally because they got too darned clever), that's life. I figure out how the villains would react to that situation and go from there. So basically your a middle ground player. Which is what I think a lot of GMs are, I would go so far as to say most. Make a plot but be able to roll with the changes. I think the article mostly comes from the small but extremely vocal minority I come across on most GMing boards were they decry modules as the devil, and think if you're doing anything but asking where the PCs want to go you are forcing them into ations they may not want to take. Personally I run a lot of modules. Mostly because I don't have the free time to write full home made adventures. I think in these cases the players come in with a certain amount of railroading expected. But improvisation has also been one of my strong suits so my version of a boxed adventure will definitely not be the same as anyone elses. But yet your middle of the line GMing style fits nicely around about what I would od if I were GMing homebrew stuff any more.